What Do the Golden State Warriors Have to Do to Force Game 7? The Golden State Warriors’ first round playoff series against the Los Angeles Clippers has been an emotional roller coaster, on and off the court. 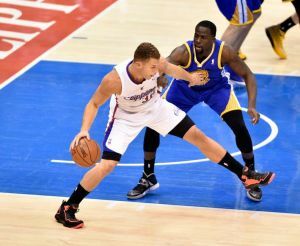 The Warriors have had to overcome a serious injury to their defensive anchor, Andrew Bogut, and the Clippers have had to overcome a horrible scandal involving their owner, Donald Sterling. On the court, the series has been extremely competitive, physical, and entertaining. 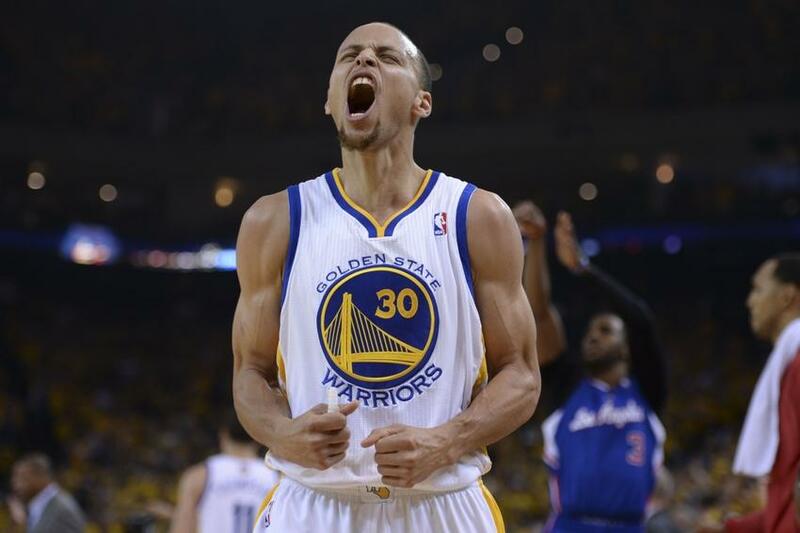 The Warriors won Game 1 and Game 4, and the Clippers won Game 2, 3, and 5. Besides Game 4, the Warriors haven’t played great basketball during the series, so the fact that they’re down just 3-2, with their center out, is extremely impressive. The Warriors face a must-win situation in Game 6, so what do the Warriors have to do to force a Game 7? There are a lot of things they need to improve on or fix from Game 5. First of all, Stephen Curry is going to have to show a little more of the Steph Curry from the 2013 playoffs in Game 6. Throughout this series, the Clippers have done a great job, except in Game 4, containing Curry, limiting his shot attempts, and forcing him into tough shots. The Clippers have forced Curry to be a distributor, which sometimes works for the Warriors. However, Curry committed eight turnovers in Game 5 and only made five field goals. Curry has to become more of a scorer than a distributor and limit his turnovers in Game 6, if they want to get to Game 7. This isn’t just on Curry though. The Warriors could do a better job getting Curry some better looks. Mark Jackson could continue to run the high pick-and-roll, but they have to run it higher up and not so close to the free throw line. This will drive DeAndre Jordan further away from the basket and could potentially create more opportunities for Curry to dribble to the three-point line for a shot or drive to the basket for a shot or a trip to the free throw line. Also, if Curry is ever guarded by Darren Collison, like he was at times during Game 5, and not Chris Paul, he needs to exploit that matchup. He had success against Collison in Game 5, and those will be his best opportunities to score. Second, the Warriors need to stay out of foul trouble, which is hard to do against a team that is known for their flopping and dramatic style of play. In Game 5, the Warriors clearly struggled when the Clippers went at the Blake Griffin-Draymond Green matchup early, because it led Green into foul trouble. The Clippers shot 41 free throws in Game 5, which is a lot, but it’s even worse because the Warriors shot only 19 free throws and made just 13 of them. The Warriors need to knock down their free throws, especially when they’re given so few opportunities. The Warriors are bound to be called for more fouls than the Clippers because of the Clippers’ flopping the Warriors’ use of the hack-a-Jordan strategy, but they need to find a way to stay out of foul trouble, especially Klay Thompson, Andre Iguodala, and Green. Third, speaking of small ball, the Warriors need to continue to run the small ball lineup of Curry, Thompson, Iguodala, Green, and David Lee. It’s their only chance to be successful against the hefty frontcourt of the Clippers. With that being said, they need to utilize the strengths of their small ball lineup more. The Warriors need to push the ball more and get into fast breaks. This limits Jordan’s impact on the defensive end and gives the Warriors some easier scoring opportunities. In Game 4, the Warriors first used the small ball starting lineup, and they finished with 27 fast break points to the Clippers’ seven. 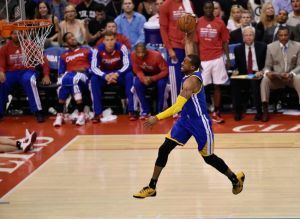 In Game 5, the Clippers won the fast break battle 21-13. This cannot be the case in Game 6. The Warriors need to get into transition, and they need to limit the Clippers’ fast break opportunities, especially early on in the game when the Clippers are establishing their rhythm. Fourth, the Warriors’ bench needs to step up. Steve Blake and Jordan Crawford have done close to nothing in this playoff series, and they’re seeing less playing time because of it. Harrison Barnes was great in Game 4, and they will need him to be efficient and effective if they want to advance to Game 7. Barnes should post up less and look for easier scoring opportunities in transition and on open threes. In Game 4, the Warriors got 29 points from their bench, and in Game 5 they got just 19. The Clippers have a deeper bench and more players who can create their own shots, so they will most likely win the bench battle on a game-to-game basis. However, the Warriors’ bench still needs to step up, in limited minutes, in Game 6. In Game 6, the Warriors need to contain Paul and Griffin, even if that means giving Hilton Armstrong or Ognjen Kuzmic a chance to guard Griffin. They also need to play lockdown defense as a team and focus on that end of the court. If they focus on defense, it can lead to more fast break opportunities, which will take pressure off their offense. On offense, they need to run their small lineup effectively, run high pick-and-rolls, get Curry more shots, and drive to the basket and stay aggressive if their threes aren’t falling. Hopefully in Game 6 the Warriors and Clippers can move past all the off-the-court distractions. The Warriors need to play Game 6 as if it’s their last game of the season, because it easily could be. If the Warriors can go back to playing their brand of basketball, they will win Game 6. ← San Francisco Giants: Is Pablo Sandoval Pressing?